OFM is aiming to make the festive season special for its listeners with its 12 Days of Goodness initiatives – 'A Letter to Santa' and 'Wingz of Change'. Nick Efstathiou, OFM general manager, says the 12 Days of Goodness initiatives are an important way for OFM to give back to its community. "'Letter to Santa' and 'Wingz of Change' both aim to change lives. For many of our listeners, Christmas is not a happy time. There are no gifts under the tree, no lavish Christmas lunch and nothing to look forward to. Hopefully, we can bring joy to these listeners and make this Christmas special," says Efstathiou. 'Letters to Santa' will give listeners the chance to win any gift from a participating Checkers store. 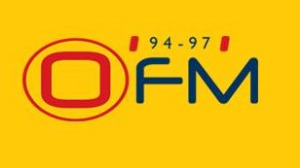 All they have to do is identify a gift or item they would like to see underneath their Christmas tree, write a letter to Santa asking for the gift on the stationary provided in the Checkers store, post it in the entry box and tune in to OFM from Monday, 3 December to Friday, 14 December to find out if they are a winner. Entries for this competition close on Thursday, 13 December. Many listeners received a helping hand from the Just Plain Drive feature, 'Wingz of Change'. From Monday, 3 December to Friday, 14 December, 'Wingz of Change' will become a daily feature. To enter, listeners will need to send an e-mail describing their or someone else’s Christmas wish, allowing them a chance to win a share of R60 000, courtesy of One Sure. The e-mail address is [email protected], and listeners need to use 'Christmas Wish' in the subject line. For more information, visit www.ofm.co.za. You can also follow OFM on Facebook, Twitter or on Instagram.